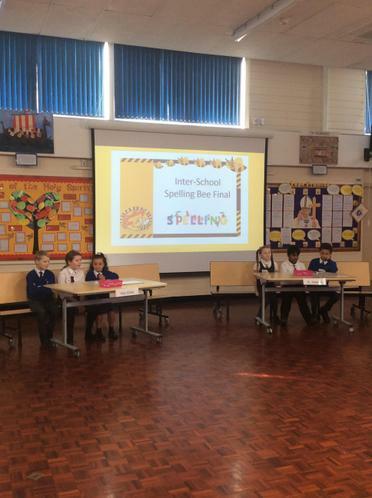 What an exciting Inter-School Spelling Bee today! Our children competed with St. Mary’s, St. Joseph’s and Holy Cross in a very close final. 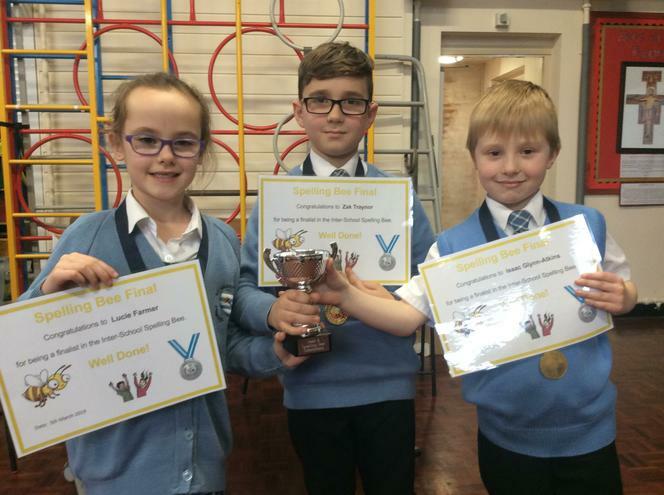 Isaac, Lucie and Zak, for Year 3, did an amazing job, coming first and winning a lovely trophy for the school. 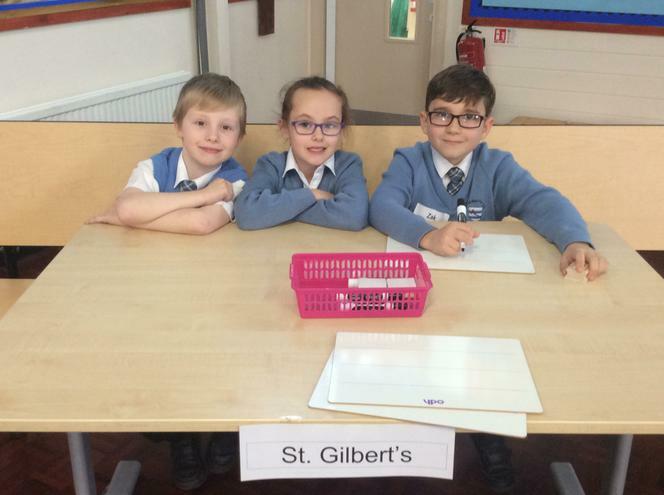 Elliott, Grace and Matthew, for Year 4, also performed very well but Holy Cross were the winners. The children knew the Year 3/4 words so well that the Y5/6 words had to be used in the deciding rounds. Well done to all the schools involved. 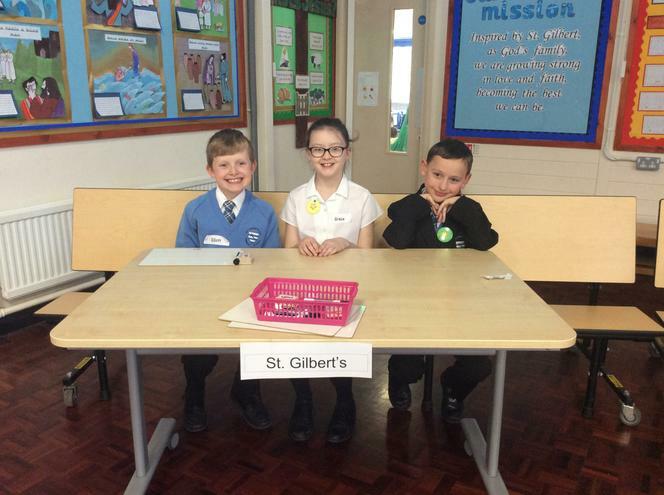 We are especially proud of our children who were great ambassadors for St. Gilbert’s. We look forward to the Y5/6 Spelling Bee in a few weeks.